Almost £30m in funding is being awarded by the Office for Low Emission Vehicles and Department for Business, Energy & Industrial Strategy to enable the projects to trial how electric vehicles could be used to deliver electricity back to the smart grid, powering businesses and homes. 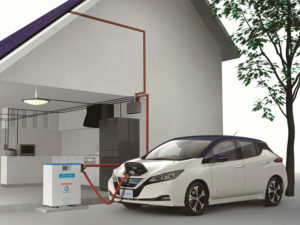 This includes EDF Energy’s V2GO scheme, which will be based in Oxford and will evaluate potential business models for V2G on a fleet basis based on 100 electric business cars and vans from organisations including several delivery and taxi companies. The government competition, run by Innovate UK, also saw winners including SSE Services, Nissan, OVO Energy, Octopus Energy, Cisco, Flexisolar and AT Kearney secure funding for up to 70% of project costs.